The embargo for the year’s most divisive film has finally ended the day before it releases internationally and from a number of reviews so far it isn’t going to be winning any awards but it isn’t the worst thing to happen to mankind either. Instead the picture being painted so far is of a middling, run of the mill comedy reboot that is getting average reviews (i.e. 3/5s and C grades) likely to lead both nutter camps at each end of the equation claiming victory and conspiracy depending on where they look. 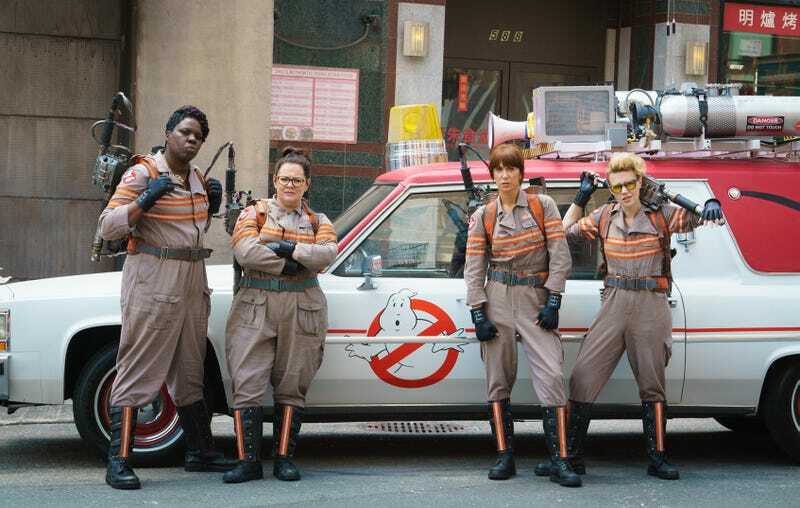 However the film’s greatest weakness so far seems to have been the unwillingness to let go of the previous films and instead repeatedly call back to them, with Screencrush’s review stating that “barely a scene goes by without some kind of reference to the 1984 Ivan Reitman original” (http://screencrush.com/ghostbusters-2…). Overall the conclusion many are reaching is that this is a film that you can take your kids to for a good 2 hours but don’t expect anything mindblowing from it, a conclusion likely to piss off many people for many different reasons.